Ben Tsoi, Anson Wong and Marcus Shum from The Chinese University of Hong Kong set off to Sumatra in May 16 for a 15-day trip to join The Human Orangutan Conflict Response Unit (HOCRU) from Orangutan Information Centre (OIC), a local NGO in conserving Sumatran Orangutan, to experience working hands-on in conservation. And this journey turned out to be an intense one filling with surprise, adrenaline rush and touching moments. Our future lies in the hands of next generations, as the saying goes, which makes education extra important in a way that they are the key to a better, greener and more sustainable future. Starting from this month, we are going to share with you the stories of different groups of students joining front-line conservation projects through the Foundation, and their life-changing experience. 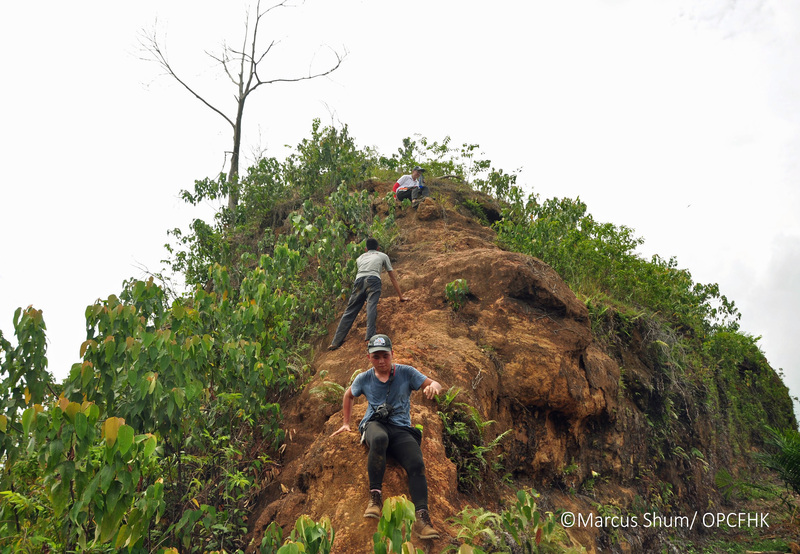 In the trip, Ben, Anson and Marcus joined a rescue operation and the mission was completed with an orangutan mother and its baby saved, while the whole team was exhausted with mud, dirt and sweat covering all over them. 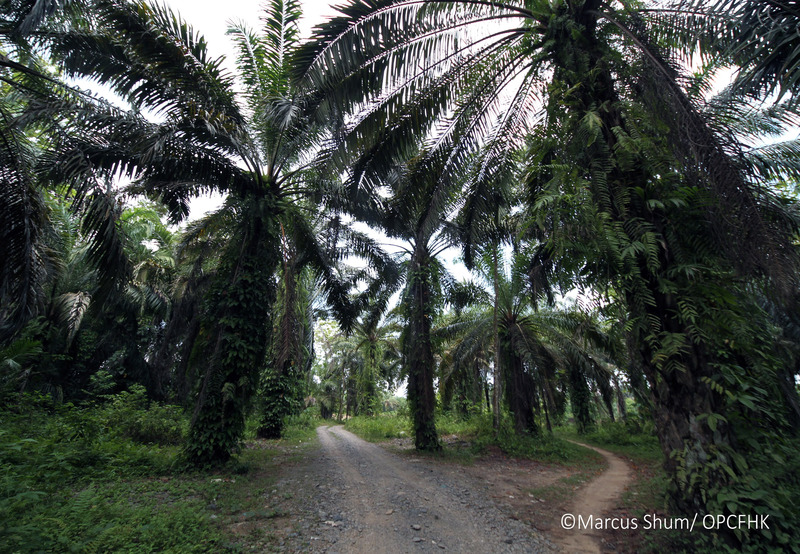 The production of palm oil, a common ingredient to be found in many products e.g. food, cosmetic products, daily consumables, is possibly killing orangutans, whose name literally means â€œman of the forestâ€. With high demand in palm oil, trees in old-growth forests have been cut down and turned into mass piece of land for commercial oil palm plantation. 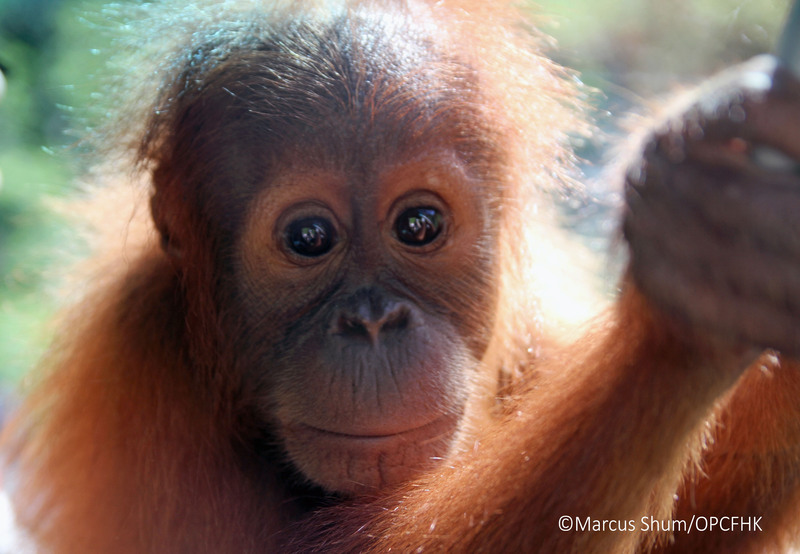 This practice has driven the economic development in Indonesia but at the same time pushed orangutans further to the brink of extinction by destroying the forests which have long been their homes. Despite how easy it may sound, high complexity and complication are involved in every move of a rescue operation from tracking an orangutan in a primitive based on sightings report, shooting the individual with tranquiliser, to waiting for the tranquiliser to kick in, catching a falling orangutan from 15-20m above just in time with a net and relocating the individual to a natural forest far enough from plantation and human settlement. And the whole risky operation was done when there are only 5 full-time staff in HOCRU covering all orangutan rescue projects in the Aceh special region and the North-Sumatra province with only 1 jeep, 1 motorbike, hiking through the dense and hilly forest with flip flops only. Conservation is not done without sacrifice to be made. 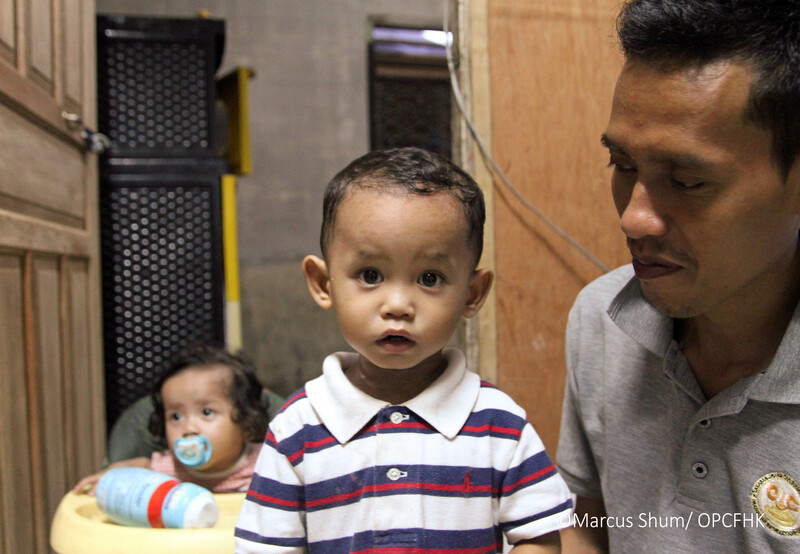 Kriezna, one of the staffs working in HOCRU, has to leave his family, including his toddlers, and station at a remote â€œlook-outâ€ once in a few days for more than a week. Despite having to sacrifice his time to be with his family, Kriezna revealed in an interview with our students, that he deems it his responsibility to protect orangutan and the environment that the future generation will be living in. This is the very belief that has been motivating him to keep going on his quest for conservation. The trip not only provided a more multi-dimensional perspective on conservation and palm oil issue to Ben, Anson and Marcus, they started to realize that the one who have the ability and power to make a difference is us â€“ Chinese and Hong Kong people, as China and Hong Kong is one of the biggest palm oil importers in the world. Understanding the true cost of every products, we need to make wiser choice in products that is not manufactured at the expense of our animal friend. After all, these problems cannot be solved by mere governmental regulations and environmental advocacy. A new collaboration with the Agriculture, Fisheries and Conservation Department (AFCD) on sighting and stranding cases regarding sharks and rays has been launched since June. Stranding cases on threatened species in Hong Kong waters will be referred to the Foundation for further action. Earlier in June, 2 Pacific spadenose shark occurrence case in Butterfly Beach, Tuen Mun were brought to the Foundation for further investigation. 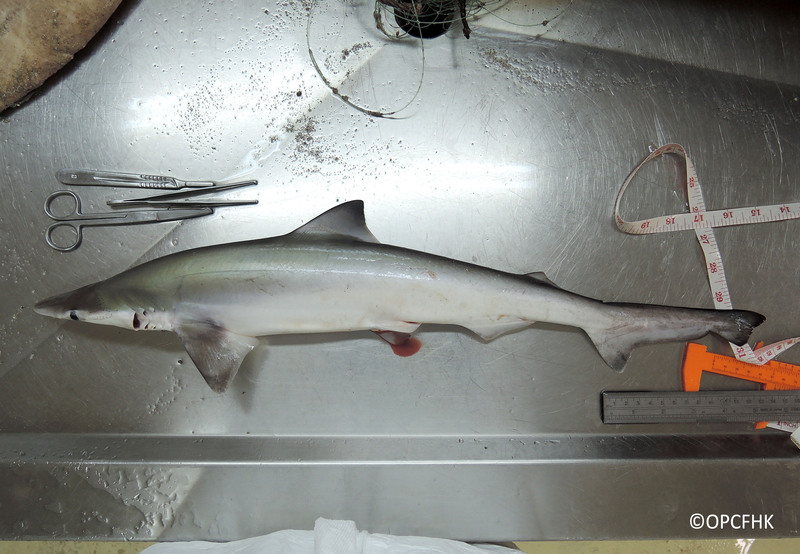 They are one of the resident shark species in Hong Kong waters and there is no obvious cause of death on the case after a necropsy was conducted by the Veterinary Team. While most shark species found in Hong Kong would not pose threats to human unless provoked, you are advised to stay calm and swim away slowly if you encounter a shark in Hong Kong waters. You are also required to report the case to lifeguards on duty and the AFCD by calling 1823. This year, a total of $8.71 million will be allocated to 30 conservation projects covering at least 21 species in 7 countries, including Malayan tiger in Asia, Yangtze finless porpoise in China and Eurasian otter in Hong Kong. Please click here to know more about the Foundation's other projects. Thanks to your dedication, the Foundationâ€™s Kowloon Region Flag Day was successfully held on July 2, 2016. A total of more than $670 ,000 was raised from the event and will be allocated to support our conservation efforts in the local marine mammal stranding response programme, scientific projects of local species and local community education programmes. It was the first time for the 3-year old Genevieve Chan to sell flag! We are so glad to know that Genevieve had a great time working for wildlife conservation and she learnt a lot in the event as well! If you have any picture taken in the event or would like to share with us your experience on the day, please feel free to send us these materials at opcf@oceanpark.com.hk! We would like to express our most heartfelt gratitude towards your support to the Foundation despite the great heat. We hope you would feel more connected to wildlife while being a part of the event. 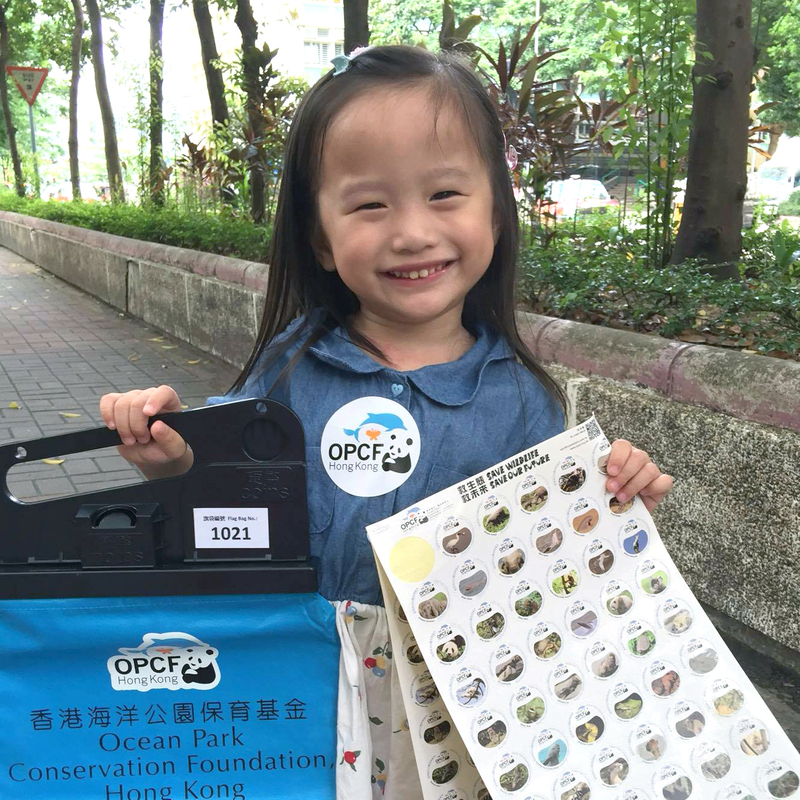 Every staff in OPCFHK strives to spread conservation messages to wide audience and speak up for our animal friends who cannot speak up for themselves. Check out our website for the past issues.